Better question: do you even have a first aid kit? If so, is it store bought, or did you piece it together like we did? 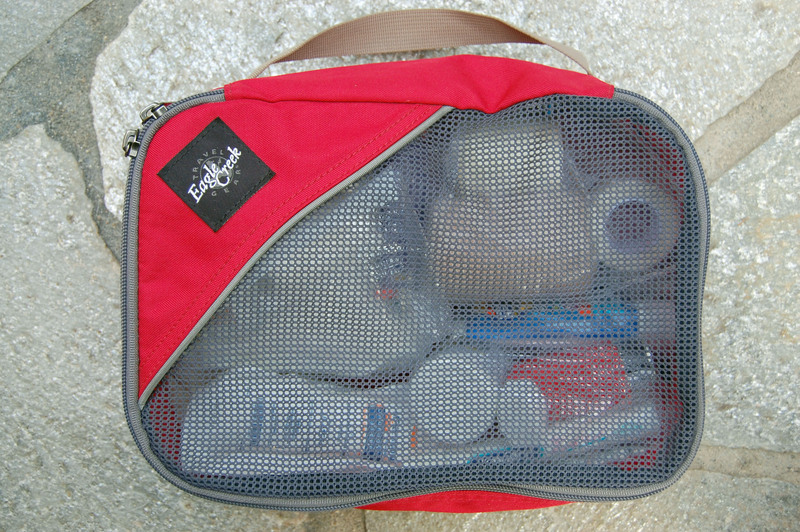 Do you take it everywhere, or do you only pack it in certain situations? We take our kit backpacking and on the road with us. If you don’t have a first aid kit, the list below should be a decent start. What do you think? Too much? Too little? Let me know if you have any questions, and I’ll be sure to (ask my wife for) help. Dr. Murtaugh has a nice ring to it. Good list. I was glad to see you included batteries. No thermal blanket. I’ve thought about it before. It’s probably something I should at least throw in my pack. I definitely have a first-aide kit. It was a gift which I adored getting. Yep, I’m the kinda girl who has no use for flowers or jewelry. If a guy wants to totally melt me give me a first-aide kit, or a bike tire repair kit, or some other piece of cool gear! My kit holds just about the same items as yours. I don’t keep my lighters and spare batts in it though, they have their own place. And yes, everything I carry which require batts all use the same size….makes things easier. You know what they say: bike tire repair kits are a girl’s best friend! Oh yeah, I don’t think I would normally keep my batteries and lighters in the first aid kit. They aren’t exactly first aid material. But they just fit so damn good in that bag! If by tomboy you mean did I rather be outside with my brother and his friends building bike ramps, seeing how big of a bomb we could make on July 5th with left-over fireworks and trying to make a tricorder out of old radio parts much more than being inside playing with Barbie…..then definitely. And the one Barbie I did have was routinely put through a series of highly scientific experiments. I usually glob the stuff on before we get going, but you’re absolutely right. 1 oz. is probably not nearly enough. And I’m freaked out about melanoma, too! I’m what doctors call “high risk.” More sunscreen. Duly noted. And tweezers! Duh. Forgot about those. I have about a half dozen slivers in my hand right now, so I need to go track down the tweezers, anyway. I like a good Swiss Army knife as much as the next guy, but I usually just carry my trusty Gerber blade. She’s sharp and durable. I personally do not carry a “first aide kit” but i do carry items on me that will help in the event of something. An extra bandanna, Oxycontin, cannibus, small bottle of neosporin, and duct tape. I like the idea of having one just the weight of one to me got me. Someday it might be the death of me who knows. I checked with the Red Cross to see what they recommend. They’re pretty legit. Thanks Eric 🙂 Is it cheaper to piece it together? Good question, Charlie. We were able to inexpensively assemble our kit, but I can see how the cost of each individual piece could add up. There are pretty cheap kits available. It is almost always cheaper to buy a pre assembled kit, and it will be more complete and reliable that way. You can get a good, light weight kit for nd 35 dollars. We’re probably the exception to the norm. If you don’t work in health care, it’s going to be cheaper, more complete, and more reliable to purchase a store-bought kit. We pieced together a kit that was a lot cheaper than $35, is complete, and reliable. But again, my wife works in health care. It makes a difference. Very important item for your first aid kit is the knowledge how to use it. All these things are great but useless if you don´t know how to use it, use it under pressure, and use it well. I highly reccomend taking more than a 1st aid class if you are spending time in the wilderness. WFR and WFA classes are great, I have taken both and don´t regret the money spent. Great point! Instructions are included with a few store-bought kits, but it would be foolish to rely on this information alone. WFR classes are a little cost prohibitive, but like you said, it’s money well spent if you spend any amount of time in the backcountry. I have a army issue first aid kit complete with battle dressing… I think i need an update. It;s more of a conversation piece and the Gaggle has rifled through and ….very excellent advice, I shall be taking it as ….ouch crap..I cut my finger. well so much for the battle dressing …. Wow, this is awesome. 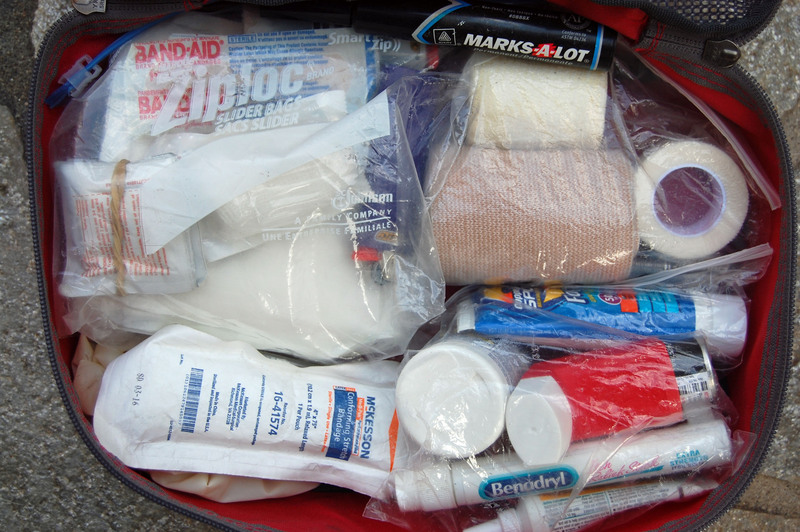 We always bring a first aid kit on our backcountry camping trips, but I admit I don’t know everything that’s in there. This year though I want to focus more on safety so I’ll be back here for this list closer to this year’s trip. Thanks!